Today, the first summary of findings offered, is based on a Master’s thesis just defended in our institute, by Nina Straathof. The thesis asks the question whether internet use by governments, in the form of e-participation initiatives, contributes to reduction of corruption. The research uses the United Nations index for e-participation to define (changing) levels of e-government and World Bank good governance indicators (control of corruption) to establish changes in levels of corruption. The relationship between these two should not be expected to be straightforward as the thesis established based on a review of existing literature. Where systems of corruption are linked to political rent seeking, e-participation initiatives are not necessarily contributing to reduction of corruption (Bussell, 2011). Therefore, the student expected that internet use and internet censorship would also matter – if internet is censored, citizens cannot act as government watchdogs. Conducting several different analyses to establish the relationship between e-government, internet use (World Bank development indicators) and corruption, including various control variables such as GDP and human capital, the author finds that internet use matters more and more for control of corruption, especially in the last ten years. 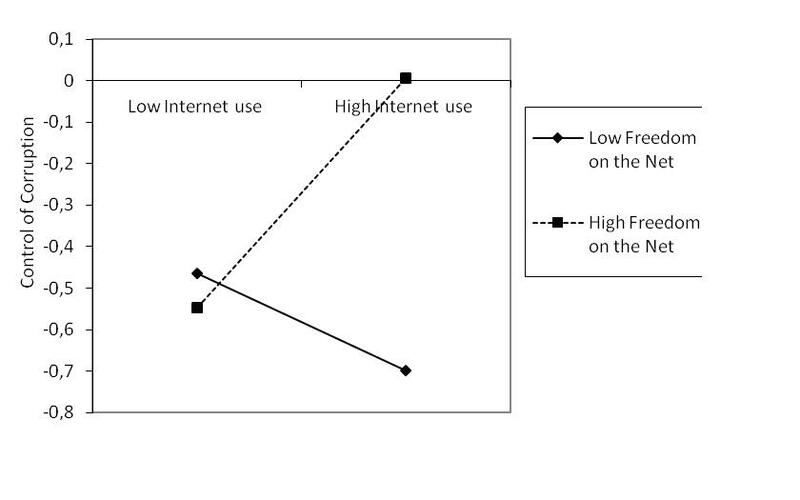 Changes in internet use were found to correlate positively with changes in control of corruption. 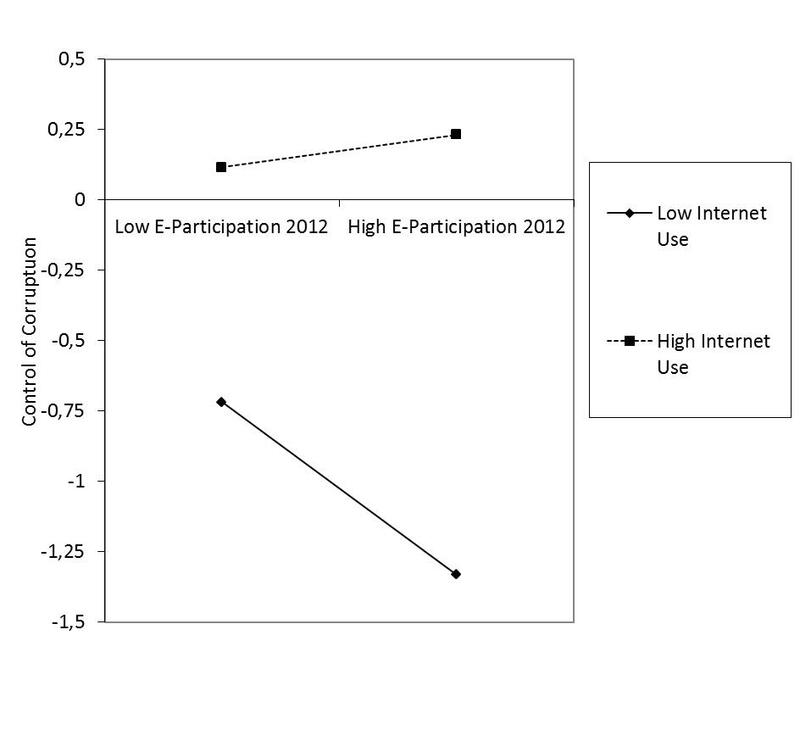 E-participation, on the other hand, was found to have a negative relationship with control of corruption, especially in countries with low levels of internet use. In other words, internet use was crucial and found to moderate the relationship between e-participation and control of corruption. The last finding in particular is interesting and should be explored further. Does it mean that e-participation and e-services have nothing to do with control of corruption or that, when internet use is low, they somehow become another way of excluding large parts of the public and therefore contribute to perceptions of corruption? “The European Community is one manifestation of that European identity, but it is not the only one. The Bruges speech was delivered at the College of Europe in 1988, in the aftermath of signing the Single European Act. A friend commented recently that if she gave the same speech today she would be considered too pro-EU. I wonder. As we have done in the last three years, we have been receiving speakers for an Honours class dealing with European affairs. This year’s class was entitled ‘Visions of Europe’ and invited speakers to share their vision for the future of the EU and the wider Europe. Students, in their turn, have been making short movies with their own ideas of the future of Europe. So far we have had a really exciting line up of speakers. Among them, the Ambassador of the Republic of Poland, Jan Borkowski, offered a contribution which struck me as markedly different from current rhetoric in the Netherlands or, for that matter, the UK. He labelled Poland’s approach ‘pragmatic optimism’ – as, according to him, being pro European is consistent with the Polish national interest even if defined in hard realist terms. For Poland, he suggested, the EU is the most practical way of balancing power in Europe between the big powers and between large and smaller states, with the Commission as guarantor of fair play. The ambassador’s talk – detailing the current Polish position towards the EU – could be described with key words such as ‘optimist’, ‘centrist’, ‘pro-active’, ‘national interest’, ‘shared responsibility’. I was struck by how unusual these words sounded in the context of recent discourses on European integration in the Netherlands. Could not help wondering what key words we would find in the Dutch discourse.